The hundred year old letters, photographs and memories that make up this book have been passed down through my family. 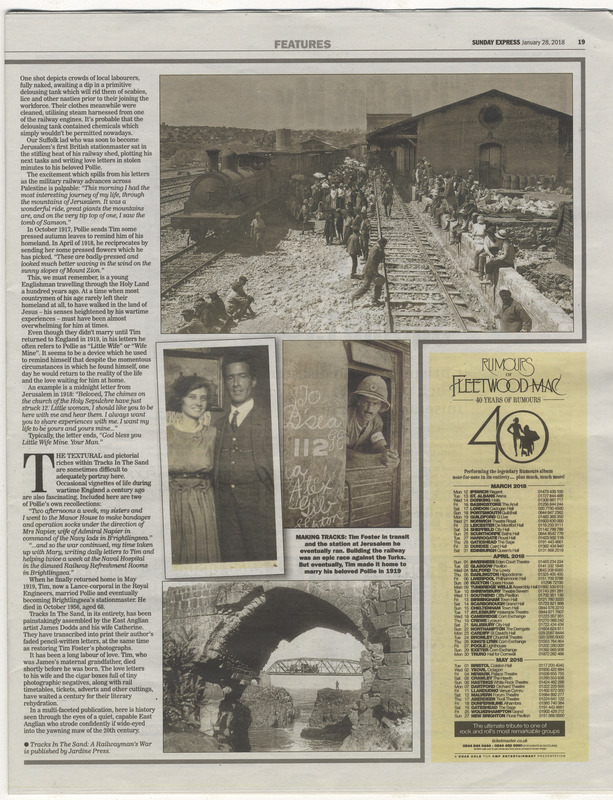 They have been lovingly kept in a large brown case containing cigar boxes full of tiny negatives, faded contact prints with notes on the back, railway timetables and documents, tickets, newspapers and cuttings in scrapbooks and other sorts of ephemera. Making sense of all this material has for me and my wife taken many years. 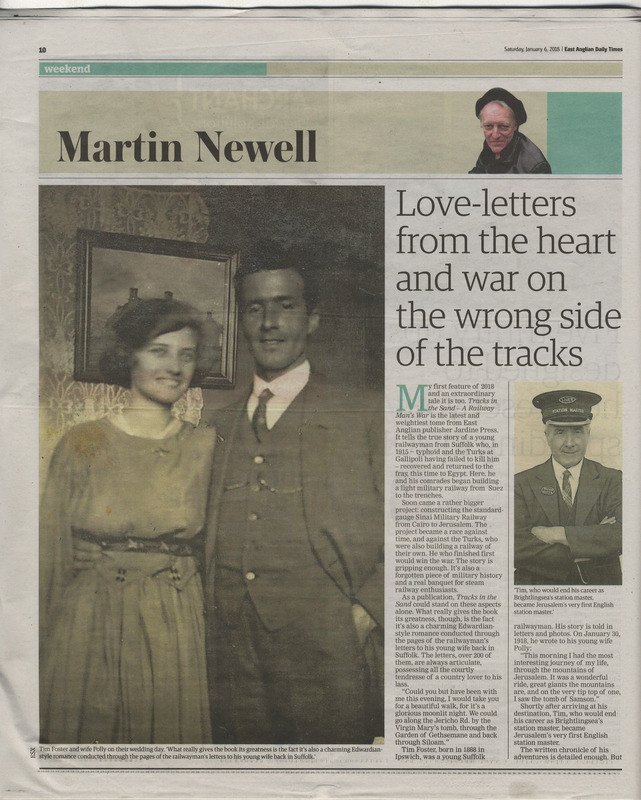 The letters document the courtship of my grandparents, Tim and Pollie Foster, and their six year engagement separated by the First World War. Tim Foster first saw action in Gallipoli and was lucky to survive. Taking a camera with him to his next campaign in Egypt and Palestine he recorded everything around him, sending photographs home with his letters. At the Suez Canal he was in charge of a light railway as part of the Canal Defence Force. 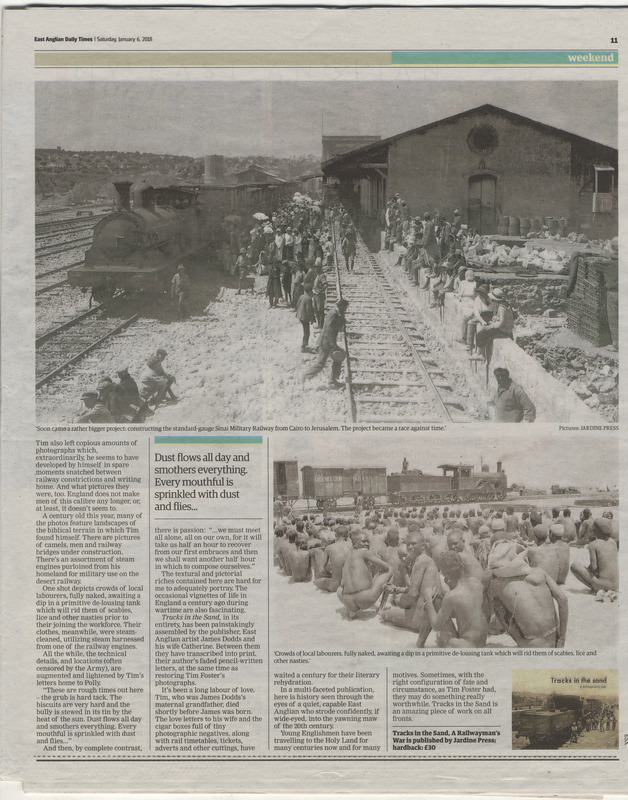 As the war advanced he was transferred to the Royal Engineers to operate the military railway under construction through the Sinai desert. 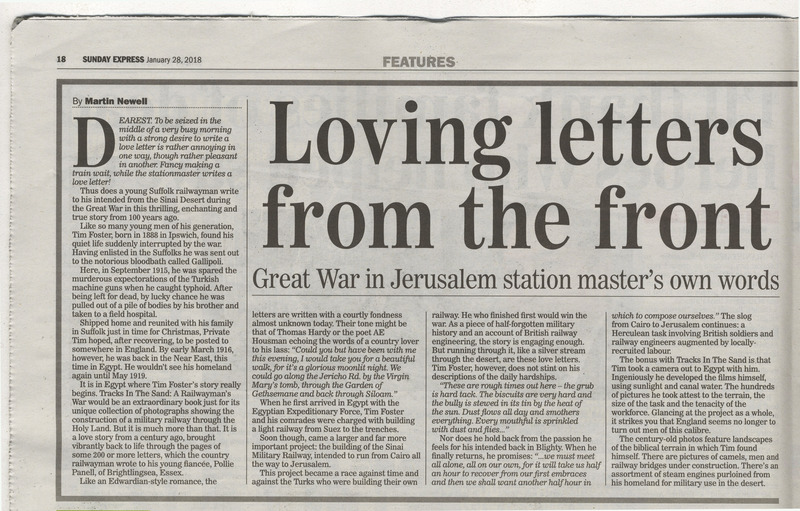 In Palestine he became the first English station master at Jerusalem before finally returning home to his sweetheart seven months after the war had ended. Over 100 letters and postcards, cigar boxes full of tiny negatives, faded contact prints, railway documents and timetables, tickets, scrapbooks and all sorts of ephemera have been passed down through the family. 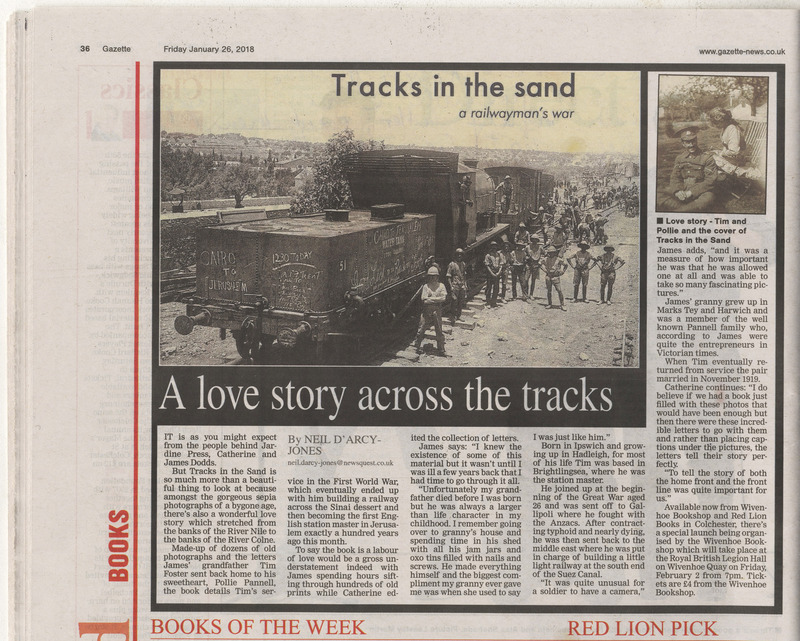 Tim’s photographs witness the importance that railways played in securing victory in the Middle East. It has been wonderful getting to know my larger-than-life grandfather, a self-educated, practical, poetry-reading socialist and railwayman, who died a year before I was born. 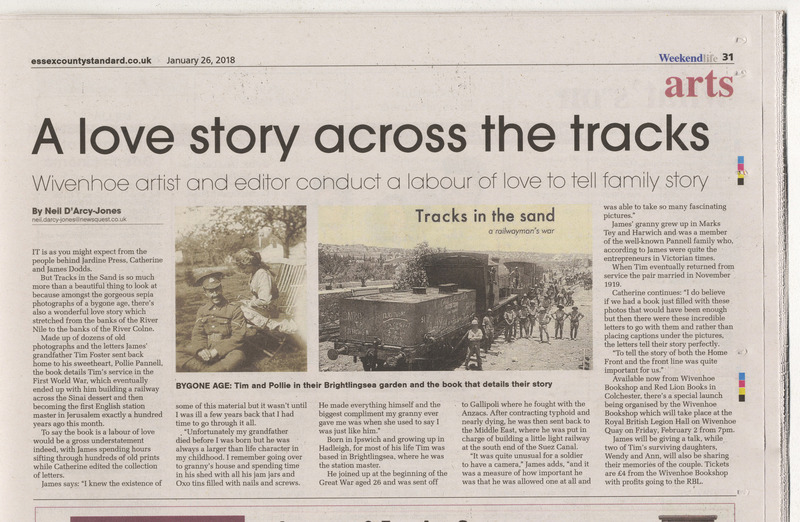 Deciphering Tim’s faint pencil-written letters and his faded photographs has been challenging and consuming, and piecing together their story against the backdrop of the war has brought them back to life for us. We hope that you also find their tracks in the sands of time equally fascinating.